Am I talking writing too much crap? Well, I will just jump into the review now. Description: This Real Mask infused with rose extract, blend of herb complex water and ingredients from nature which helps to moisturize and protect the skin from environmental stressors while providing adequate nutrition. It also adds vitality and energy to your skin. 2. Take out the mask from the packet. 3. 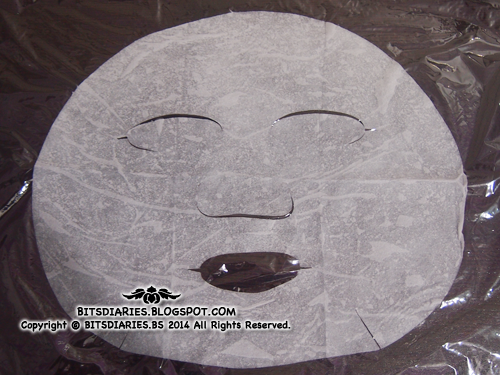 Position the upper mask around the eye area and remove the white film and attach to the skin. Then place the lower mask around the mouth area and adhere to the skin. 4. Remove the sheet after 20 minutes and gently pat to allow the remaining formula to absorb into the skin. I will skip the "Packaging" point as there's nothing much to talk about. Basically, it just pretty much similar to every other mask sheets' packaging. Hence, I will just move on to the mask sheet. 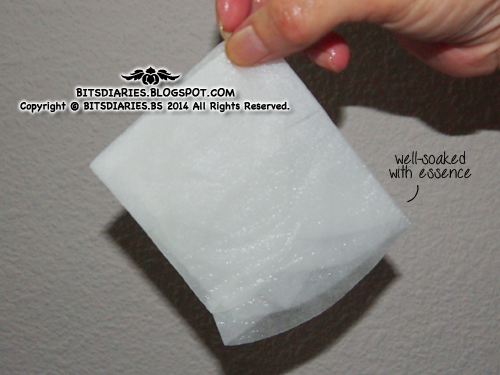 After tearing off the packet, there's a folded mask sheet and it is well-soaked with essence without any dripping mess. 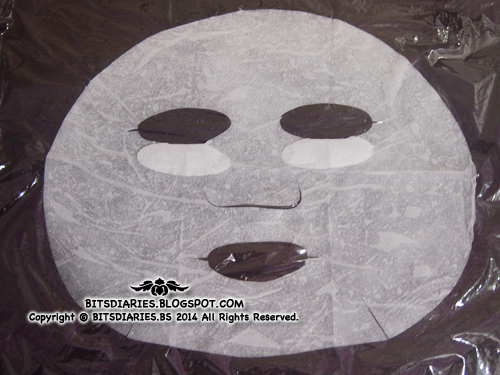 This is how the mask sheet looks like. Like other mask sheets in the market, it is well-soaked with a colorless, essence-like extract. The mask sheet/cloth itself is thin and soft. Just like it's name, it's indeed a rose mask. Totally smells like rose! It reminds me of rose water toner. Calming and soothing yet moisturizing. 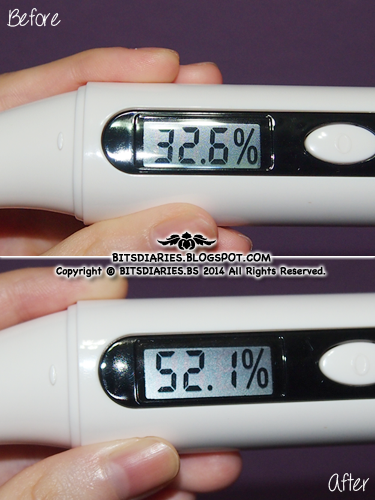 Before using the mask, my skin moisture level was 32.6%. After using the mask, my skin moisture level increased to 52.1%. Moisture gained before and after the mask application was 19.5%. I concluded that this mask is moisturizing. - leaves a sticky feel after application. The stickiness will reduce after applying moisturizer. 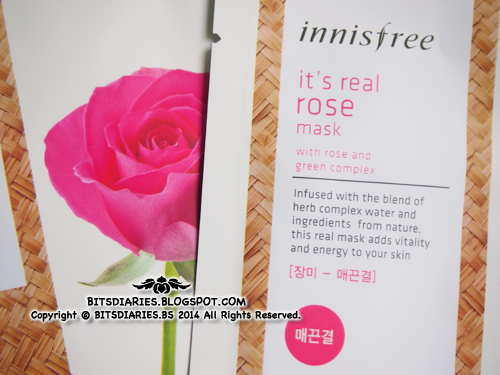 - does not have excess amount of essence compared to The Face Shop and My Beauty Diary Mask Sheet. 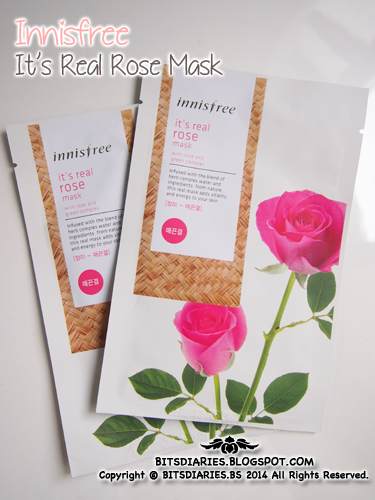 As the mask sheet contains rose extract, it has a rose aroma which provides calming effect to the mind! Yet at the same time, it gives the skin a boost in hydration and soothe the skin, reducing redness and skin irritation. All in all, in my opinion, this is a soothing and hydrating mask. Perfect for relaxation after a long day.